Located in the southwest of Uganda near Kasese, covering 1978 sq km. Tree Climbing lions Uganda, Queen Elizabeth National Park Queen Elizabeth National Park (QENP) is Uganda`s most popular and accessible savanna reserve. It was declared as a bios-sphere reserve purposely to harmonizing human activities with the conservation and protection of wild life , wet lands and natural resources in 1979. Queen Elizabeth National Park is bounded by the Ishasha River and Lake Edward to the west along DR Congo boarder, by Kasese and Rwenzori foothills to the north, to the east by lake George, kyambura/chambura gorge and kalinzu forest reserve, and by the Kigezi Wildlife Reserve to the south. Much as Queen Elizabeth National Park is primarily known for open savanna,in some areas studded with a dense cover of acacia and euphoria trees but it also embraces large area of thick swamps around Lake George,the extensive Maramaganbo Forest in the southeast, and the forested Kyambura Gorge along the border with the Kyambura Game Reserve .Endowed with at least ten crater lakes within the park, including the highly accessible cluster right north of the main road to Mweya safari lodge, as well as the whole Ugandan shore of lake Edward,the western and northern shores of lake George, plus the connecting Kazinga channel Queen Elizabeth National Park has a lot to offer to any tourist and a one of Uganda`s Eco tourism destinations.what a life time memorable site it is!. Tree Climbing lions UgandaHaving been protected as the lake George and lake Edward game reserve since the late 1920s, the present day Queen Elizabeth National Park was gazette as Kazinga National Park in 1952, purposely to protect landscapes of prolific wildlife typical of the Rift Valley flow from lake Edward to the Rwenzori mountains. In 1954 it was renamed Queen Elizabeth National Park in memory of the Queen of England’s visit to this place. 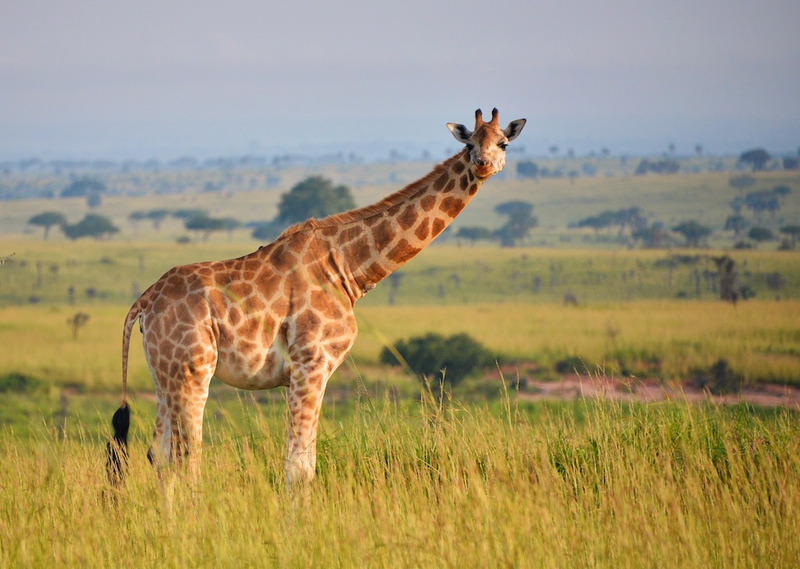 With a total of 95 mammal species recorded here and the highest for any Ugandan national park,its makes this park a remarkable Uganda wildlife safari spot. These include ten primate species,including chimpanzee, black -and- white colobus and olive baboon,the vervet blue,red-tailed and L’Hoest’s monkeys, and around 20 predators are native to this park, the side-striped jackal among,the spoted hyena,lion and leopard,the beautiful Uganda kob, bushbuck,topi and Defassa water bucks- all antelope species. In her papyrus swamps around lake George duels the elusive semi-aquartic sitatunga antelope and four duikers species are resident in Maramaganbo Forest. Buffaloes are common sight and are usually redish in colour due to interbreeding with the Congolese forest redder forest buffalo.